The views of Leibniz (1646-1716) on causation must stand as some of the more interesting in the history of philosophy, for he consistently denied that there is any genuine causal interaction between finite substances. And yet from another perspective, he sought to integrate both old and new causal taxonomies: On the one hand, Leibniz put forth a theory of causation that would accommodate the Scientific Revolution’s increasing mathematization of nature, one according to which efficient causes played a dominant role. On the other hand, Leibniz also sought to integrate certain aspects of traditional Aristotelian causation into his philosophy. In particular, while many of Leibniz’s contemporaries were rejecting Aristotelian final causes, Leibniz insisted that the pursuit of final causes was worthwhile. Indeed, they played a crucial role in his philosophical system. The result is that Leibniz produced a system with a complex integration of both old and new––of both final and efficient causes––while simultaneously denying there was any real causal interaction between substances at the most basic level. The resulting metaphysics is sufficient to secure him a significant place in the history of the philosophy of causation, one worthy of serious attention. In introducing his views on causation, Leibniz nearly always pivoted his theory against what he saw as its main rivals, occasionalism and physical influx theory (influxus physicus). He thought both were unacceptable, and that his own theory was the only viable option. In presenting Leibniz’s own theory, the famous "preestablished harmony," this article follows his lead by considering, in the first section, why Leibniz deemed the competitors unacceptable. The article then discusses the details of Leibniz’s positive views on causation. This highly metaphorical passage presents Leibniz’s own view, the last of the three options, as both “possible,” and “more worthy” than its competitors of being the product of divine invention. The first view, which Leibniz refers to as the “system of mutual influence,” is also labeled by him “the theory of physical influence” (A VI, 6, 135 [NE 135]), and “the hypothesis of influx” (C 521 [L 269]), among other labels. Leibniz’s claim about this theory of causation is that it is simply impossible. The other main competitor, occasionalism (or “the system of occasional causes”) is possible according to Leibniz, but it is not worthy, and so it is at least implausible. Why did Leibniz consistently make such claims about the rival theories of causation? The Scholastic model of causation involved properties of things (“species”) leaving one substance, and entering another. Consider what happens when one looks at a red wall: one’s sensory apparatus is causally acted upon. According to the target of this passage, this involves a sensible property of the wall (a “sensible species”) entering into the mind’s sensorium. According to Leibniz, “nothing ever enters into our mind naturally from the outside” (GP IV, 607 [AG 214]). Leibniz’s message is clear enough: since substances as he conceives of them are “windowless”––that is, indivisible, partless, immaterial, soul-like entities––there is no place for anything to enter into it, or leave it. As a result, one cannot conceive of a property or part of something entering a monad and transposing its parts, for monads have no parts and thus have no portals in which to enter and exit. Given that monads have no parts or windows, it is, as we have seen Leibniz claim, impossible for this theory to be true. Hence, it is not true, according to Leibniz. It is clear that Leibniz viewed occasionalism––Malebranche’s theory of causation––as the leading contender, for he addressed it in a number of published and unpublished writings spanning the course of decades. According to occasionalism, God is the only truly causally efficacious being in the universe. According to Leibniz, Malebranche’s “strongest argument for why God alone acts” (ML 412) is roughly as follows. A true cause, for Malebranche, is one according to which there is a necessary connection between it and its effect. Since bodies cannot move themselves, it must be minds that move bodies. But since there is no necessary connection between the will of a finite mind and what it wills, it follows that the only true cause is the will of God, that is, the only will for which there is a necessary connection between it and what it wills (that is, its effects). Hence, what appear to be causally efficacious acts of will by finite beings are mere occasions for God––the only true cause––to exercise his efficacious will. Leibniz used three arguments against occasionalism. 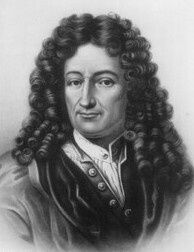 First, he argued that occasionalism consistently violates “the great principle of physics that a body never receives a change in motion except through another body in motion that pushes it.” According to Leibniz, this principle has “been violated by all those who accept souls or other immaterial principles, including here even all of the Cartesians [such as Malebranche]” (GP VI, 541 [L 587]). In other words, Leibniz believed that occasionalism, by claiming that a material object can be put into motion by something other than another material object, namely, the occasional cause of a finite will and the true cause of the divine will, violated a fundamental principle of physics. As we shall see, Leibniz believed the preestablished harmony did not do so, since every non-initial state of a body in motion has, as a real cause, some state of a body in motion. Notice that Leibniz’s objection is not simply that occasionalism is miraculous because God is constantly acting in the course of nature. Rather, his objection is that according to occasionalism, there is nothing in the nature of objects to explain how bodies behave. All change on Malebranche’s system is explained by appeal to God, and not by the natures or intrinsic forces of created things. Finite bodies on this view are merely extended hunks of matter with no nature by appeal to which one can explain motion. Thus, there is no natural explanation for natural change (no naturally inner cause of motion), and hence such change is supernatural, that is, miraculous. Leibniz maintained that created substances were real causes, that God was not the only causally efficacious being (that is, that occasionalism was false), and that intersubstantial causation could not be understood in terms of a physical influx. So, what was Leibniz’s account of causation? (1) No state of a created substance has as a real cause some state of another created substance (that is, a denial of intersubstantial causality). (2) Every non-initial, non-miraculous, state of a created substance has as a real cause some previous state of that very substance (that is, an affirmation of intrasubstantial causality). (3) Each created substance is programmed at creation such that all its natural states and actions are carried out in conformity with––in preestablished harmony with––all the natural states and actions of every other created substance. Consider the above claims in application to the mind-body relation. Leibniz held that for any mental state, the real cause of that state is neither a state of a body nor the state of some other mind. And for any bodily state, the real cause of that state is neither a state of a mind nor the state of some other body. Further, every non-initial, non-miraculous, mental state of a substance has as a real cause some previous state of that very mind, and every non-initial, non-miraculous, bodily state has as a real cause some previous state of that very body. Finally, created minds and bodies are programmed at creation such that all their natural states and actions are carried out in mutual coordination, with no intersubstantial mind-body causation involved. For example, suppose that Troy is hit in the head with a hammer (call this bodily state Sb) and pain ensues (call this mental state Sm), a case of apparent body to mind causation. Leibniz would say that in such a case some state of Troy's mind (soul) prior to Sm was the real cause of Sm, and Sb was not a real causal factor in the obtaining of Sm. Suppose now that Troy has a desire to raise his arm (call this mental state Sm), and the raising of his arm ensues (call this bodily state Sb), a case of apparent mind to body causation. Leibniz would say that in such a case some state of Troy's body prior to Sb was the real cause of Sb and Sm was not a causal factor in the obtaining of Sb. So although substances do not causally interact, their states accommodate one another as if there were causal interaction among substances. There are at least two points worth emphasizing in this passage. First, Leibniz was clearly aware that his theory was at odds with common sense, that is, it is at odds with “our ordinary ways of speaking.” As the above passage indicates, he was concerned to preserve our usual ways of speaking about causal interactions. As a result, Leibniz held that there was a sense in which one could say, for example, that mental events influence bodily events, and vice-versa. He wrote to Antoine Arnauld that although “one particular substance has no physical influence on another … nevertheless, one is quite right to say that my will is the cause of this movement of my arm …; for the one expresses distinctly what the other expresses more confusedly, and one must ascribe the action to the substance whose expression is more distinct” (GP II, 71 [LA 87]). In this passage, Leibniz sets forth what he believed the metaphysical reality of apparent intersubstantial causation amounts to. We begin with the thesis that every created substance perceives the entire universe, though only a portion of it is perceived distinctly, most of it being perceived unconsciously, and, hence, confusedly. Now consider two created substances, x and y (x not identical to y), where some state of x is said to be the cause of some state of y. Leibniz's analysis is this: when the causal state of affairs occurred, the relevant perceptions of substance x became more distinct, while the relevant perceptions of substance y became more confused. Insofar as the relevant perceptions of x become increasingly distinct, it is “causally” active; insofar as the relevant perceptions of substance y become increasingly confused, it is passive. In general, causation is to be understood as an increase in distinctness on the part of the causally active substance, and an increase in confusedness on the part of the passively effected substance. Again, each substance is programmed at creation to be active/passive at the relevant moment, with no occurrence of real substantial interaction. Thus, ordinary ways of speaking are preserved on the grounds that it is true according to the “distinct/confused analysis” to say that one object is the cause of another. Second, the above passage indicates that when it comes to a mechanical study of phenomenal nature––that is, when it comes to natural philosophy––the influx model may be used. In a way this is not surprising, for as Leibniz makes clear in this passage, the objects of mechanics are physical masses, and these objects have parts (they have “windows”) via which parts can enter and exit and cause change. They are not substances, which again, have no such parts. So, it appears to be Leibniz’s view that at the level of the most real, the level of substances (monads), preestablished harmony is the correct view. However, the influx model is acceptable at the phenomenal level of mechanics, perhaps as an abstraction from, or idealization of the underlying reality. But note that this level is indeed phenomenal, that is, only an appearance, and any analysis on this level is not the end of the story. Still, for Leibniz, the fact that it is acceptable when it comes to mechanics preserves our ordinary ways of speaking, since it is a model of genuine intersubstantial causation. But such a way of speaking, for Leibniz, is certainly not metaphysically rigorous. The soul follows its own laws and the body likewise follows its own; and they agree by virtue of the preestablished harmony among all substances, because they are all representations of one self-same universe. In accordance with the mechanical philosophy that prevailed during Leibniz’s lifetime, he held that the motions of bodies are to be understood as engaging in efficient causal relations, or behaving according to “laws of efficient causes.” But Leibniz also believed, as the above passage indicates, that final causation was prevalent in the world, and that it operated in harmony with the realm of efficient causation. Indeed, in the passage above, Leibniz presented his usual bifurcation of the world into two realms: the bodily realm is governed by efficient causation, and the realm of souls (individual substances) is governed by final causation. Thus, in this text, Leibniz suggests that final causes themselves produce future perceptions by way of efficient causation. In this connection, it is worth noting that there is a sense in which final causation is operative at the level of phenomenal bodies as well. “There is,” Leibniz writes in the New Essays, “a moral and voluntary element in what is physical, through its relation to God. . . . [B]odies do not choose for themselves, God having chosen for them” (A VI, 6, 179 [NE 179]). Mechanical bodies, understood as phenomenal hunks of matter, do not exhibit intentionality. Thus, they do not frame their own ends in the way that immaterial substances do. Still, there is a sense in which they are subject to final causes, for they act for the ends that God has set for them, and they do so by way of mechanical efficient causation. Thus, there is some suggestion that Leibniz held that both efficient and final causation permeated the universe at multiple ontological levels. Although it might appear to some that such a view is inconsistent with freedom of the will, Leibniz did not think so, for he repeatedly maintained that human souls, though governed by preestablished laws of final causes, act with freedom of the will (e.g. GP VII, 419 [L 716f.]). (Whether he was entitled to such a view is another matter.) It is also worth noting that in a number of passages, Leibniz argues that this harmony between types of causation accounts for the very union of the human body and soul (cf. GP VI, 599 [AG 208]). Here Leibniz claimed that final causes operate at the level of the unconscious: a mental state can function as a final cause without our being aware of it. In a letter of 8 May 1704 to Sophie Charlotte, Leibniz made essentially the same point: “So that even in our instinctive or involuntary actions, where it seems only the body plays a part, there is in the soul an appetite for good or an aversion to evil which directs it, even though our reflection is not able to pick it out in the confusion” (GP III, 347 [WF 224f.]). It seems to follow that the preestablished harmony between efficient and final causes has wider application than one might suppose at first glance. Although Leibniz maintained against the occasionalists and Spinoza that created substances were genuine sources of their own activity, and that it is not true that God alone is the source of all natural activity, he did nonetheless believe in a doctrine of divine conservation and concurrence. Briefly, according to the latter, God is not an absentee creator, but is involved in every aspect of the natural world, including the causal activity of created substances. Since Leibniz held that creatures are real causes of their own actions, this means that both God and creatures concur in bringing about the effects of the actions of created substances. References to works of Leibniz are cited by abbreviation according to the key below. Each one is cited by page number unless otherwise noted. ASämtliche Schriften und Briefe. Multiple volumes in seven series. Edited by the German Academy of Sciences. Darmstadt and Berlin: Berlin Academy, 1923–. Cited by series, volume, and page. Philosophical Essays. Edited and translated by Roger Ariew and Daniel Garber. Indianapolis: Hackett, 1989. Opera Omnia. Edited by L. Dutens. Geneva: Fratres De Tournes, 1768. Cited by volume, and page. Die Philosophischen Schriften von Gottfried Wilhelm Leibniz. 7 vols. Edited by C.I. Gerhardt. Berlin: Weidman, 1875-1890. Cited by volume and page. Philosophical Papers and Letters. Edited by Leroy Loemker, 2nd ed. Dordrecht: Reidel, 1969. The Leibniz-Arnauld Correspondence. Translated and edited by H.T. Mason. Manchester: Manchester UP, 1967. Philosophical Writings. Translated and edited by Mary Morris and G.H.R. Parkinson. London: Dent, 1973. New Essays on Human Understanding. Translated and edited by Peter Remnant and Jonathon Bennett. Cambridge: Cambridge UP, 1982. The original French text is in A VI, 6. Theodicy. Edited by Austin Farrer and translated by E.M. Huggard. New Haven: Yale UP, 1952. Cited by section number as in GP VI. Leibniz’s ‘New System’ and Associated Contemporary Texts. Translated and edited by R.S. Woolhouse and Richard Francks. Oxford: Oxford UP, 1997. Adams, Robert. 1994. Leibniz: Determinist, Theist, Idealist. Oxford: Oxford UP. A classic and thorough discussion of Leibniz’s views on a number of topics, including human and divine causation. The book consults a wealth of primary sources. Gregory Brown, 1992. “Is There a Pre-Established Harmony of Aggregates in the Leibnizian Dynamics, or Do Non-Substantial Bodies Interact?,” Journal of the History of Philosophy 30, pp. 53-75. This article argues that Leibnizian aggregates do not interact in Leibniz’s physics, and also discusses the importance of distinguishing ontological levels in Leibniz’s philosophy. Carlin, Laurence. 2006. “Leibniz on Final Causes,” Journal of the History of Philosophy 44 (2), pp. 217-233. This paper argues that for Leibniz, final causes are species of efficient cause, and are therefore just as productive as efficient causes. Carlin, Laurence. 2004. “Leibniz on Conatus, Causation, and Freedom,” Pacific Philosophical Quarterly 85 (4), pp. 365–379. This paper argues that Leibniz was a causal determinist by focusing on his treatment of causation in relation to his concept of conatus, or his concept of force in his physics. Cover, Jan and Mark Kulstad, eds. 1990. Central Themes in Early Modern Philosophy. Indianapolis:Hackett. This is an anthology that contains a number of articles of causation in early modern philosophy, including an article on the relationship between Leibniz and occasionalism. Davidson, Jack. 1998. “Imitators of God: Leibniz on Human Freedom,” Journal of the History of Philosophy 36, pp. 387–421. This paper argues that Leibniz was a causal determinist on the grounds that his model of human volition imitates the model of divine agency. Garber, Daniel. 1994. “Leibniz: Physics and Philosophy” in Jolley, ed., The Cambridge Companion to Philosophy, pp. 270-352. This article is a sustained treatment on Leibniz’s views of the interaction between dynamical bodies, the laws of nature, and efficient and final causation. Jolley, Nicholas. 1994. The Cambridge Companion to Leibniz. Cambridge: Cambridge UP. This anthology contains articles on many aspects of Leibniz’s philosophy. It is written by leading scholars, and could very well be the first place to look for someone new to Leibniz. Kulstad, Mark. 1990. “Appetition in the Philosophy of Leibniz.” In A. Heinkemp, W. Lenzen, and M. Schneider, eds., Mathesis Rationis, pp. 133-151. This is a through examination of Leibniz’s concept of appetition, and is particularly helpful in relating appetition to his physics and to human volition. Lee, Sukjae. 2004. “Leibniz on Divine Concurrence.” Philosophical Review 113 (2), pp. 203-248. This paper is a close and controversial examination on Leibniz’s doctrines of divine conservation and concurrence. Murray, Michael. 1995. “Leibniz on Divine Foreknowledge of Future Contingents and Human Freedom.” Philosophy and Phenomenological Research 55: 75-108. This article argues that Leibniz was not a causal determinist, contrary to what others have argued. Murray, Michael.. 1996. “Intellect, Will, and Freedom: Leibniz and His Precursors.” The Leibniz Society Review 6: 25-60. This paper develops the interpretation in Murray (1995) by drawing on a wealth of historical sources, including medieval philosophers’ treatment of the concept of moral necessity. Nadler, Steven, ed. 1993. Causation in Early Modern Philosophy. University Park: Penn State UP. This collection of papers is the classic source for papers on causation in early modern philosophy. O’Neill, Eileen. (1993) “Influxus Physicus.” In Nadler, Steven, ed. Causation in Early Modern Philosophy, pp. 27-57. This paper traces the history of the physical influx theory, and analyses its main tenets. It has become the classic treatment of the issue. Paull, R. Cranston. 1992. “Leibniz and the Miracle of Freedom,” Nous 26: 218-235. This paper contains an argument for the conclusion that Leibniz was not a causal determinist. It draws attention to certain passages that appear troubling for the causal determinist reading. Rutherford, Donald. 1995. Leibniz and the Rational Order of Nature. Cambridge: Cambridge UP. This book contains excellent discussions of Leibniz’s views on the properties of the best possible world, and is particularly helpful on the topic of how the level of efficient causes relates to the level of final causes. Rutherford, Donald. 1993. “Natures, Laws, and Miracles: The Roots of Leibniz’s Critique of Occasionalism” in Nadler, Steven, ed. Causation in Early Modern Philosophy, pp. 135-158. A clear discussion of exactly why Leibniz disagrees with Malebranche’s occasionalism. The article challenges some scholars’ interpretations. Sleigh, Robert C. 1990. Leibniz and Arnauld: A Commentary on Their Correspondence. New Haven: Yale UP. This book examines a number of Leibniz’s views on contingent, substance, and causation in the context of Leibniz’s classic exchange with Antoine Arnauld. It also contains helpful discussions of Leibniz’s treatment of occasionalism. Sleigh, Robert C.1990. “Leibniz on Malebranche on Causality” in Cover and Kulstad, eds. Central Themes in Early Modern Philosophy, pp. 161-194. This is a helpful discussion of Leibniz’s reaction to Malebranche’s occasionalism. Wilson, Margaret. 1976. “Leibniz’s Dynamics and Contingency in Nature” in Machamer and Turnbull, eds., Motion and Time, Space and Matter, pp. 264-289. This is a discussion of Leibniz’s belief that the causal laws of nature must be grounded in considerations about final causes.